Hey RunningDazMan! I'm still grinning that I found you guys again! Any how.....I have run into an issue this week that CDDS doesn't handle automatically, and that's when you need to break up a large file into multiple parts so the DIM installer doesn't fail the installation. That way, when it's all installed in daz, I will have just one folder with the name "Urban Exterior HDRI" with all my Urban Exterior HDRI's inside it, instead of having all those HDRIs spread across 5 different folders inside daz. I know CDDS can update already existing DIMs, but if something like what I've outlined above could be done, then when there is an expansion for an item instead of "updating" the DIM which is what I have been doing, I can just give it the same name as original content and tell CDDS that this is a multipart DIM and have it add the correct part number to the new DIM like IM00000000 -0X_<content name>. Daz DIMs are broken up in around 850 MB to 875 MB DIMs. Yes, it would be possible to have CDDS to break up a large file automatically. As for the setp 2 that's possible too but your -0X_ limit is 99. Just out of curiosity I did a search on my system for "IM000" and then sorted the results by size. The largest DIM I have is IM00015701-02_iRadianceHDRIMonterey.zip which is 2,494,131,730 bytes. Then I have 4 others over 1GB of which the largest is 1,649,845kb. All are official Daz DIMs. I would guess that they keep most things under 1gb to make them easier to download. The actual limit might be that old 4GB filesize limit. I suppose if you wanted to know badly enough you could test it. internal files in the zip. I guess I'll have to test Install manger to see what it's limits are. I did what MrMechano did with his file and found that the largest DIM I have is 2.48 gigs. It's a HDRI image collection from earlier this week created with CDDS. The largest original DAZ DIM I have is 1 gig, if that helps any. 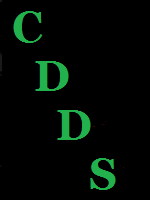 I will be using the newest CDDS build tonight to make some more HDRI DIMs, I will do some testing on file size as I am making them and see what I can come up with. I'd say the max will be some where around 3.5 GB.